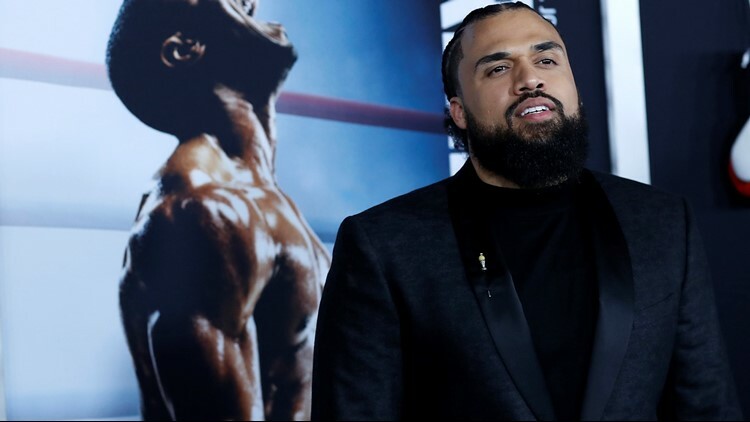 Directed by Cleveland native Steven Caple Jr., "Creed II" will open nationwide next week. VALLEY VIEW, Ohio -- As a world tour for the highly anticipated "Creed II" began to take form, Steven Caple Jr. had one request. The film's director was cool with a premiere in New York City and future stops in London and even Africa. He just wanted to make sure he could fit a trip to his hometown of Cleveland in along the way. On Thursday evening, Caple did just that, premiering the sequel to 2015's "Creed" and eighth installment of the "Rocky" franchise at the Cinemark at Valley View. The film, starring Michael B. Jordan, Sylvester Stallone and Tessa Thompson, takes place in locations such as Philadelphia, Los Angeles, Las Vegas, Brooklyn, Russia and Ukraine. But its Cleveland influence is evident thanks to Caple, a graduate of Baldwin Wallace. "Each one of those cities as their own identity. Overall, for the tone of the film, we wanted to keep certain identities alive and distinct for each one, but at the same time, we wanted to have this sort of grounded-ness," Caple told WKYC after the premiere. "This blue-collar feel that Philly definitely has is very similar to Cleveland, Ohio. So when people watch the film, I definitely wanted it to feel real. That whole touch on that with this particular movie comes from me. How I personally see the world and saw these characters. "And if it's about me, then you definitely know it's about Cleveland because that's what's embedded inside, this is where I grew up." "Creed II" marks Caple's second feature film, following 2016's "The Land," which earned critical acclaim on the film festival circuit. Directing a big budget film produced by a major studio obviously presented a different set of challenges for the 30-year-old Caple. But that didn't stop him from putting his own spin on one of Hollywood's most iconic franchises. "I knew it was a commercial piece. People were scared it was going to be bigger and lose its grounded-ness," Caple said. "Obviously, being from here, I definitely wanted to keep that down to earth feel in all my films." It hits theaters nationwide on Nov. 21.